Graduates in any discipline from Statutory University with minimum of 50% marks (45% for SC/ST candidates) for all the Master of Business Administration Programme, expect for the Programmes, which requires graduate with specific subject specializations. These specializations are mentioned on the respective institute’s web site. The candidate is required to report at the Test Centre latest by 1:00 p.m. The test procedure will begin at 1:30 p.m. Candidates who reports after 2:00 p.m. will not be allowed for the test. Your latest coloured passport size photograph should be pasted on the Admit Card at the place provided for. Photo identity as specified in the previous paragraph . Cell phones, calculators, watch calculators, alarm clocks, digital watches with built in calculators/ memory or any electronics gadgets will not be allowed in the examination hall. Occupy the seat allotted to you by verifying the SEAT NUMBER pasted on the desk and indicated in your Admit Card. The SNAP Test Invigilator will check your Admit Card. The SNAP Test Booklet will be distributed just before the starting time of the Test. The candidate must ensure that the booklet is sealed. If the seal is found broken or tampered with, please bring this matter to the notice of the invigilator immediately. At 2.00 p.m., the SNAP Test Invigilator will instruct you to open the seals of the Test Booklet and commence answering the test. Check immediately that all the pages of the booklet are in order. In the rare event of the Test Booklet being defective, bring it to the notice of the invigilator immediately who will arrange for the replacement of Test Booklet if required. Duration of the test is 120 minutes, i.e. from 02.00 p.m. to 04.00 p.m. The candidate may attempt any section in any order. The candidate will not be allowed to leave the hall till the test is over and until the Invigilator collects the answer OMR sheet and Question Paper at 4.00 pm. The candidate will be allowed to leave the hall only after the answer OMR sheets and Question Paper of all the candidates in the hall have been collected and accounted for. Candidates found using any unfair means will forfeit their chance of being considered for admission and will be debarred from receiving SNAP Test Score. Please read the entire document, especially Section 4, before filling in the online registration form. 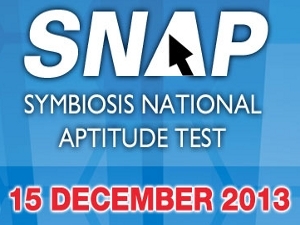 Register online on www.snaptest.org (from September 5,2013 to November 22, 2013). Note: Any Changes in the online application form can be made only up to the closing date of Registration i.e. Friday, November 22nd, 2013. No change is permitted after this under any circumstances. 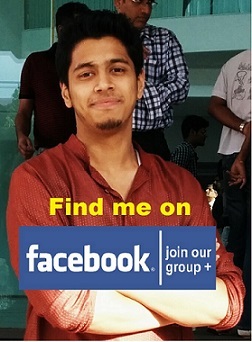 Upload your latest scanned photograph to establish identity. Given below are instructions for payment of SNAP Test fee of Rs.2,000/- (from September 5, 2013 to November 26, 2013). The candidate may pay directly through Master or Visa card online by following the instructions on the SNAP website after the registration. The candidate may transfer SNAP test fee to Symbiosis Test Secretariat account using Net Banking option after the registration. After online SNAP 2013 registration print ‘Axis Bank or Indian Bank Challan’ from the SNAP website. It is in 3 parts. Pay Rs. 2000/- in cash at any Axis Bank or Indian Bank branch in your city. Refer to the list of branches on the website. The bank will return two stamped parts of the ‘Axis Bank or Indian Bank Challan’ to the candidate. Candidates need to keep the Candidate copy as payment receipt. Sign the stamped ‘Symbiosis copy’ of the ‘Axis Bank or Indian Bank Challan’ and send it to the “Symbiosis Test Secretariat” at the address given in this page. Obtain a Demand Draft (DD) of Rs. 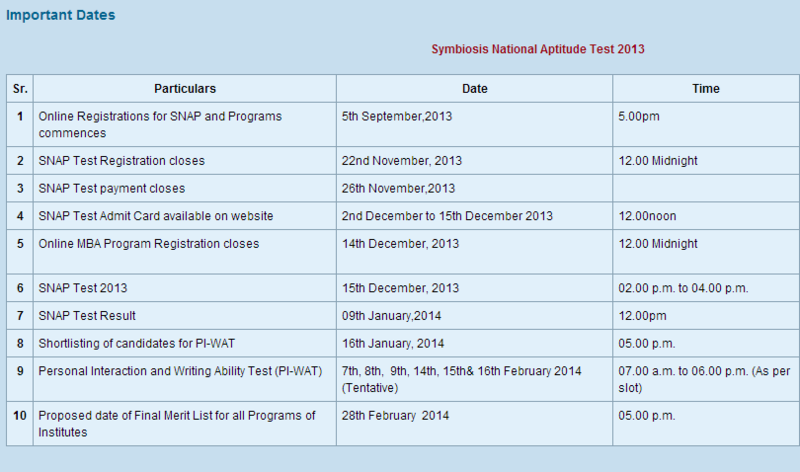 2,000/- from any Nationalized Bank in favor of “Symbiosis Test Secretariat” payable at Pune. Fill DD details in the DD payment option in SNAP website and take a print out of ‘Payment Advice’ form for DD and send it along with the DD to the “Symbiosis Test Secretariat” only at the following Address. The photocopy of the Demand Draft should be retained for future reference.